Two tickets to Seattle Mariners against the Toronto Blue Jays for Tuesday, August 12, 2014 at Safeco Field in Seattle, WA. Requesting for $100.00 CAD for both, paid $130.00 USD. 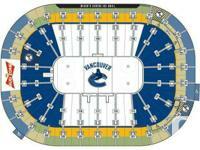 Seats are located along the initial base line in the lower part of the arena.